Free Antivirus: where to find them ? The lack of funds is no excuse for not having a good antivirus installed and updated right on your computer. In the market there are many effective alternatives and also free to be safe from malware . Not usually offer complete protection, but enough for some users. We have made ​​a selection of the most popular antivirus freeware, along with links where each download. The first is AVG Anti-Virus Free , the highest rated in all comparisons. Give a basic level of protection, and is suitable for installation on computers that are used mainly for browsing websites or enter social networks. Scan inside archive files in zip and the new version includes a tool that alerts you when the browser consumes too much memory. For Windows 7, Windows Vista and Windows XP. Avast Free Antivirus blocks viruses and spyware. It uses a heuristic engine and has an automatic litter box that collects the suspicious programs. Includes various defenses against attacks by script, IM and P2P networks. You can configure it to perform a system scan after startup. Suitable for Windows XP, Vista and 7. It can be installed as a second safety program, to complete the main antivirus system. Like the previous two, Microsoft Security Essentials works with Windows 7, Vista and XP. The latest version is more closely integrated with Internet Explorer and the Windows firewall 7 and Vista. As usual, provides the ability to perform full scans, quick or custom, and tests can be scheduled. Provides protection against rootkits and incorporates antivirus and antispyware engines. The real-time detection strap Microsoft SpyNet service charge, based on the cloud. 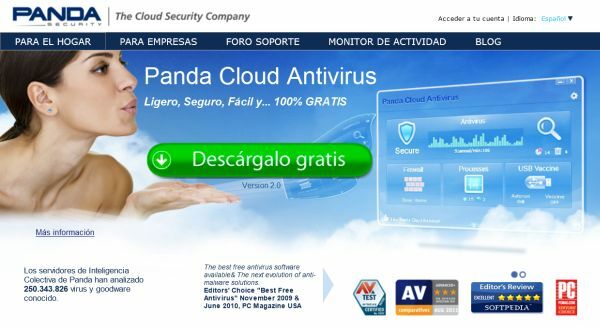 The detection efficiency of Panda Cloud Antivirus is very high. The current version reduces system load, and the burdens are developed in the cloud. So to install requires a computer connected to the Internet to function. Works with Windows XP 32-bit, Windows Vista 64-bit and Windows 7 (32 bit and 64 bit). The protection is based on the behavior and covers virus and spyware. Includes a specific function to scan USB memory keys for malware. It also monitors the processes. Avira Antivir Personal offers a basic level of protection against viruses, worms, Trojans, spyware, adware and rootkits. It is very simple to install. Once installation is complete, perform a quick scan. WebGuard tool is only available if you install Avira in the browser bar. It is valid for Windows 7, Windows XP and Vista. 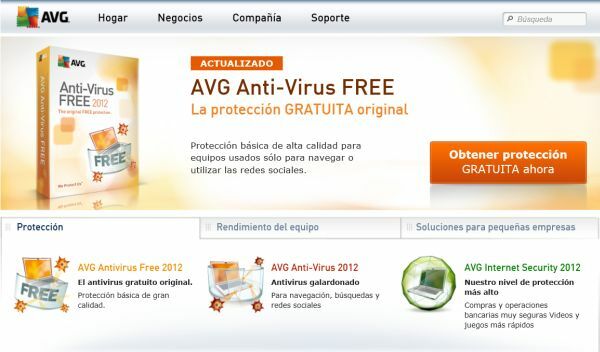 All free antivirus discussed previously are in Spanish. There are other alternatives in English, are the cases of Comodo Antivirus and Protect Free Inmunet . And you do you know and recommend other free antivirus that is not on this list?